"ad astra per aspera, meaning "through hardships to the stars""
I know, first hand, how much of a toll being overweight and unhealthy can take on one’s life. Not too long ago, about 5 years ago, I was 315 lbs. I was staring at a life of obesity and health problems on top of the mental anguish that comes from the isolation and constant judgment. I decided to make a change. It wasn’t easy, it took real commitment and unending discipline. Over the course of 2 years, I lost 150lbs. More importantly, I’ve re-gained myself. I now live and breathe health fitness because it has the power to transform not only your physical health but also your mental well-being. I think my favorite part about being a personal trainer is that I can torture people during their workouts and get paid for it! But all jokes aside the real reason is that I know first hand the positive impact of getting and being in shape can have on one’s life and I also know firsthand the judgment, insecurity, and self doubt of being out of shape can have on one’s life. 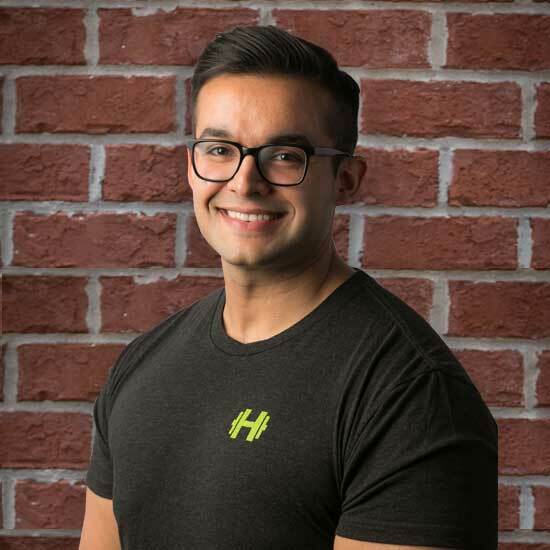 As a personal trainer I actively help individuals push away from being out of shape to becoming in shape which equates to higher self confidence and sense of well being and just enjoying life to the fullest. Transforming someone to becoming the individual they always wanted to be. I play guitar and have been playing for about 3 years now . I enjoy long-boarding and sometimes you might catch me riding down by the lake when Chicago weather permits. I use to weigh over 300lbs and lost 150 lbs in 2 1/2 years. I love to grill even when its below zero Chicago weather....how else am I going to get my protein in?